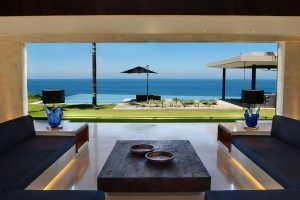 Villa Jamadera can accommodate 10 guests across the five separate bedrooms that run down the length of the property towards the limestone cliffs. Each individual room is fully serviced, slick with contemporary design and offers an escape of its own. 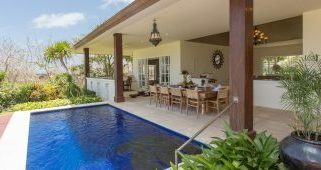 The sunken, comfortable lounge area and dining tables are at the head of the property, fronted by the large pool and a gorgeous tropical lawn. Together they make Villa Jamadera the ideal spot for families or groups of friends. 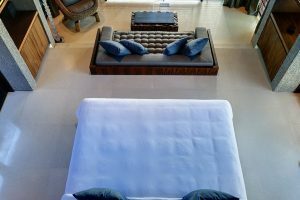 The staff members at the villa are truly incredible and will ensure you have everything you need. Housekeeping keeps the place is spotless, while a butler will be on site to bring you cool drinks or snacks throughout the long peaceful days. 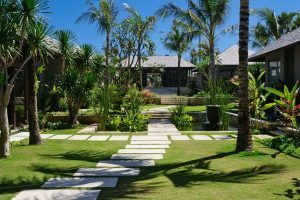 You also have a complimentary nanny for four hours a day, a chef to create a personalized menu and a driver to ensure you have total freedom to roam the beautiful island of Bali. Feel free to order in a yoga teacher, a healer or a variety of different spa treatments if you need some extra pampering. The bedrooms are self-contained units that run up the promenade. Upon entering the property, you’ll see two larger bedrooms to the left and three to the right. All have incredibly comfortable beds dressed in high quality lines and are drenched in contemporary, stylish décor. The private design of the room ensures you feel wrapped in luxury whether you’re reading a book or resting in the cool air-conditioning. All bedrooms have ensuites with stunning stone bathtubs and rainfall showers that you won’t want to get out of it. Two of the bedrooms have luscious outdoor baths that you can use to cool off or soak in under the stars. Of course you’ll find plenty of soft towels and all the extra amenities you could hope for, including storage space and areas for private reflection in each bedroom. The entertainment area at Villa Jamadera is truly world class. 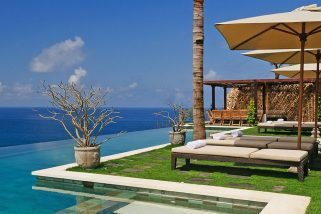 Sitting at the peak of the property close to the cliff you’ll find the stylish sunken lounge area. 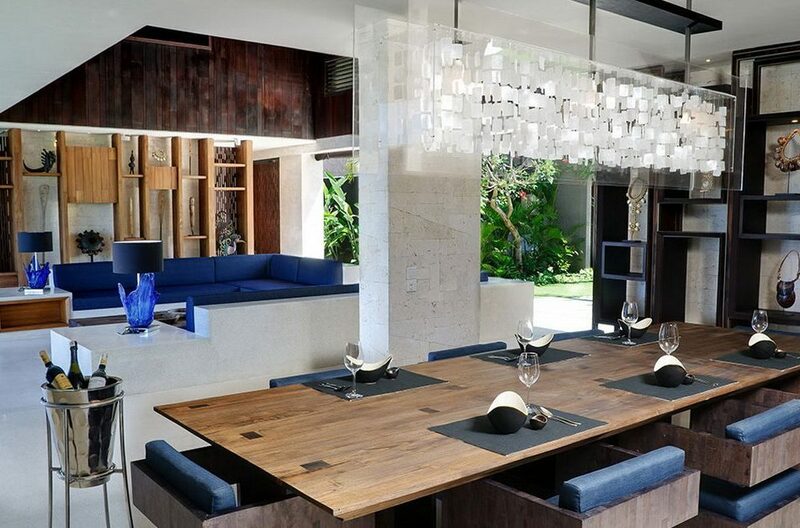 Deep blue and wood accents are layered amongst the creamy open space. The décor is minimalist, but a range of curated ornaments is gorgeously displayed in backlit cabinet spaces along the walls. Long, cushioned couches offer the ideal setting for daytime dreaming and the entertainment system is world class. Dine indoors or outdoors with tables that seat up to 10 people and give guests a first class view across the cliff tops and over the ocean. Order dinner by the pool and enjoy the epic sunsets as your chef and butler take care of your every whim. 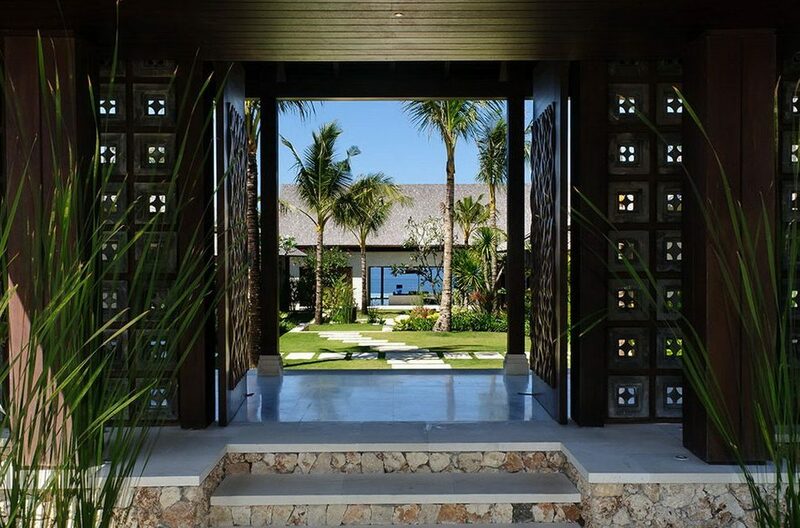 The property is laid out beautifully amongst 7.5 acres of lush manicured gardens so the kids will have plenty of room to run free without disturbing your afternoon. Rest up with a book and a cocktail on one of the large loungers that front the infinity-edged pool. The range of staff at Villa Jamadera is incredible. You’ll be spoiled with a personal chef to create the meals of your choice. There’s a butler who will see to your every need, whether you’re lounging by the pool or taking some time out in one of the bedrooms. Then there’s the complementary nanny who’s on site for four hours a day to take care of the kiddies. You will also have a driver and a housekeeper to help out with the logistics. Feel free to ask your butler if you need a masseuse or beauty technician. There are also yoga teachers, healers and even nutritionists available if you give us enough notice. Whatever your need, Villa Jamadara can meet it. Uluwatu is on the must see list of both world-famous celebrities and the surfing crowd. You’ll find the area an eclectic mix of glamor and culture. The surrounding cliffs are dotted with resorts and bars, but as part of your stay at Villa Jamadara, you’ll receive VIP access to Sunday’s Beach Club. 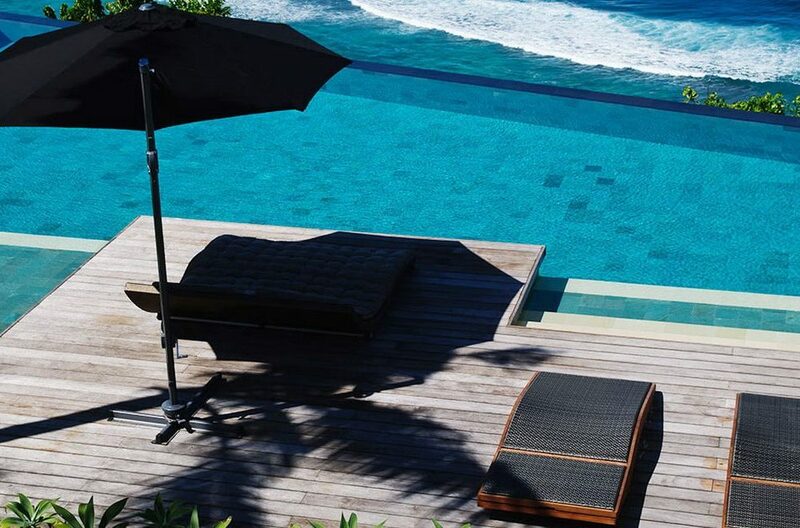 Sit back, relax and enjoy the cocktails and gorgeous food on your own private beach. The water is clear so make sure you take the time to paddle in between sunbathing. Many guests like to take in the Kecak dance and fire show. Held in a massive amphitheater outside the Uluwatu temple, the show begins as the sun sets in the background, it’s an incredible combination of culture and beauty that can’t be missed. If you’re looking for something more adventurous sign up for a local surf lesson! Uluwatu, Jimbaran and the Bukit all have renowned sets and there’s also the chance to go wakeboarding or request a trip on a dive boat to one of the local islands that are rich with coral and sea life. 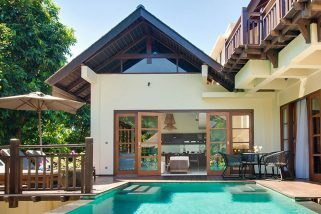 Villa Karma Indah is located within the world famous Karma Kendara resort estate. 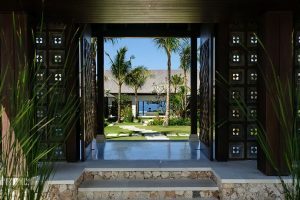 The expansive property is located on cliff-tops overlooking the Indian Ocean where guests have access to the private Karma beach club, gymnasium and Three Monkeys kid’s club. 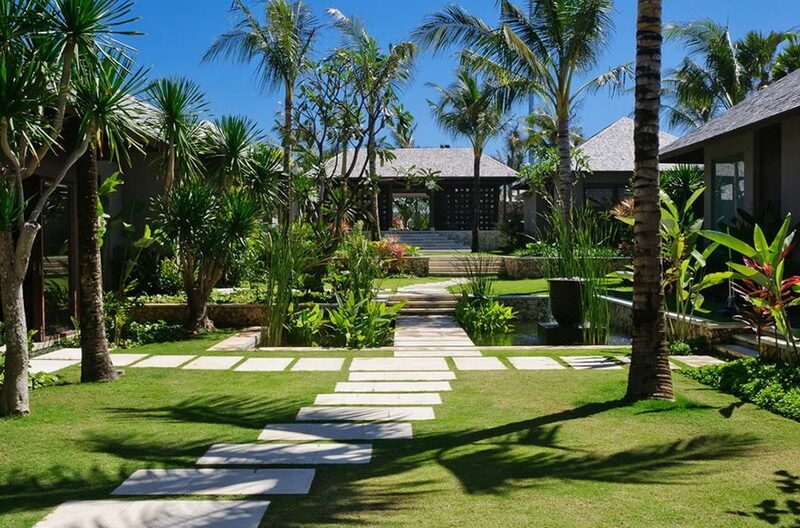 Villa Karang Dua is part of a luxurious three villa estate situated on the southern tip of Bali at Uluwatu.